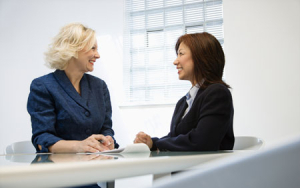 An external mentor can offer great and immediate benefits, both for the individual and for the organisation. Women make up a very small percentage of the organisational pyramid. In some organisations senior women are only conspicuous by their absence. So opportunities for women to find role models and other women who have walked in their shoes are incredibly small. There are also high levels of distrust reported, with potential mentees expressing concern about confidentiality and the repercussions any open and frank conversations might have on their careers. Research carried out by 3Plus shows that issues centred around family planning and maternity leave are particularly sensitive. Further studies suggest that men mentor women around behaviour and competence such as confidence building, assertiveness and presentation skills. On the other hand they mentor men to better understand the business and navigate the sub-text of office politics. So if women want input from a female mentor then the chances are organisations need to look outside externally to find one. And of course men should also seek out women mentors. Gender balance works both way and men tend to seek out male mentors. External mentoring programmes offer both individuals and organisations a number of immediate benefits. This person will provide a neutral and objective sounding board for all concerns and challenges in a safe and confidential environment, without fear of any negative repercussions on a career. What is said in the room really will stay there. Receiving advice and guidance from outside our organisations produces a different perspective and some disruptive thinking. This can range from a new take on business practises and protocols as well as appropriate behaviours and responses. An external mentor can also have a different perception of a certain skill set or experience and offer alternatives within a talent management framework. Knowing that there is someone there to provide support and guidance can be very reassuring, especially during periods of internal change and transformation. Working with an external mentor will give contacts and a broader network outside a current organisation. These can add value within both a current role and for the future. There will be higher levels of knowledge transfer as mentees learn the way things are done in other businesses or sectors. It's also about creating a more diverse set of skills and experience. Learning mentoring skills from someone who is outside company culture with a different perspective and vision encourages the development of new skills and a different approach which will benefit the company in a wider sense. Women in successful mentoring programmes are reported to more productive and more highly engaged. This is especially important in key years when work/family commitments become challenging. Otherwise women can become disillusioned with toxic workplace cultures and leave in their droves, or they might stay and remain under performing. Having female employees feel more secure and confident will produce better results. This is why 3Plus has created an external mentoring programme with a register of 20 senior women mentors located internationally. We currently offer mentoring services in 10 languages (English, French, Dutch, Spanish, Italian, Greek, German, Hungarian, Romanian and Welsh). Please contact us if you would like an external mentor for yourself or for the women in your organisation. If you have different requirements let us know, we are a huge community with an extensive global network and can meet your needs. If you think women in your company need more support, then contact 3Plus NOW. We also offer a custom designed, in-house mentoring program especially for you.